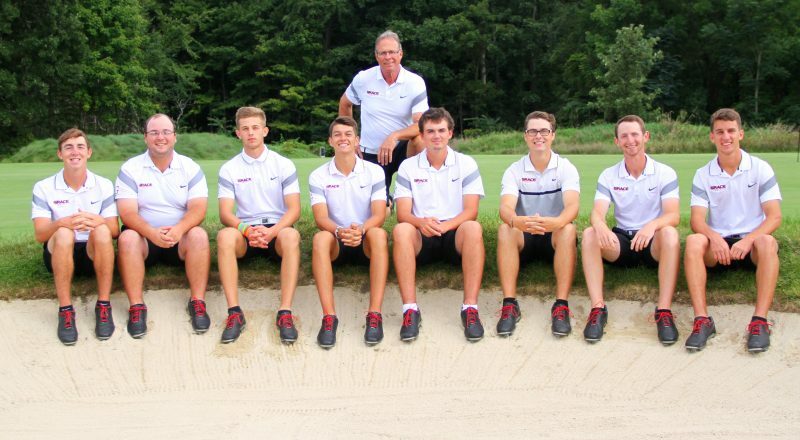 WINONA LAKE – For the first time in nearly two decades, the Grace College men’s golf team is headed to the NCCAA National Championships. The Lancers earned an at-large invitation to NCCAA Nationals, marking Grace’s first trip to the tournament in 17 years. Grace’s only other tournament appearances were a four-year run from 1996-99. Grace’s women’s golf team will also be present in the tournament as freshman Anna Marshall qualified as an individual. The NCCAA Nationals are held at Hombre Golf Club in Panama City Beach, Fla, from Oct. 24-26. The tournament is a three-round event with 18 holes played each day. Championship action will begin with the first round on Monday, Oct. 24. The second round will be on Tuesday, Oct. 25, after which the top nine teams will advance to Wednesday’s final round following the 36-hole cut. Grace is one of 12 schools represented in the national field, joining the likes of Oklahoma Baptist, Cedarville, Colorado Christian, Oakland City and others.